Ok, so today is National Blonde Brownie Day! I know just yesterday was Granola Bar Day and now suddenly it’s Blonde Brownie day and you probably officially think I’m crazy and I probably am but I just REALLY have always wanted to give the below recipe a shot…and finally I had my excuse to execute it. 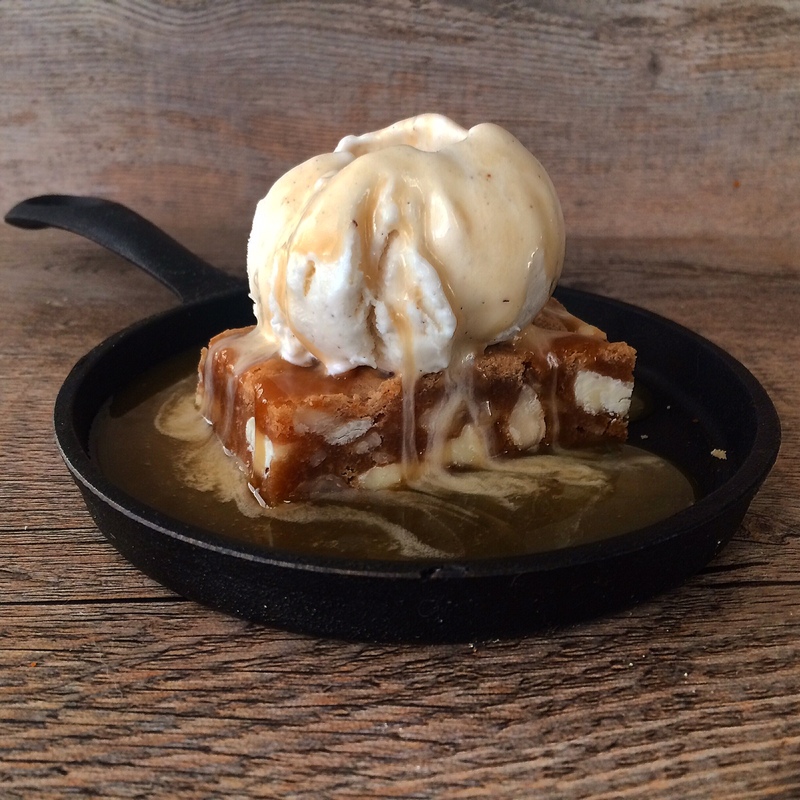 They had this dessert – I think then it was just called the “White Chocolate Blondie” but it came out in a sizzling hot skillet – and it was a blondie with a big scoop of ice cream on top and this ridiculous maple sauce. It was hot/cold, and it was the best flavor explosion my teen self had ever tasted. It was the one thing from that place that I loved to eat. Back then, I never thought about creating it at home. Over the last few years, I have told myself that this magical dessert would be recreated in my kitchen. I knew it probably wouldn’t be too hard. Step 1 was finding a great blondie recipe. 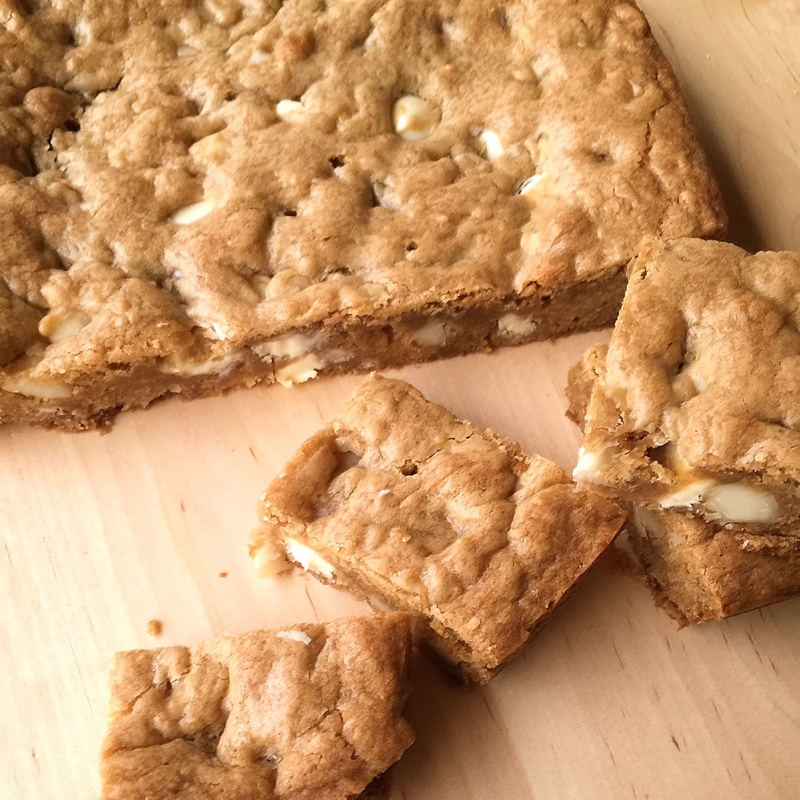 I went with White Chocolate Macadamia Blondies from the Beekman 1802 Dessert Cookbook. They were SUPER easy and totally delicious. 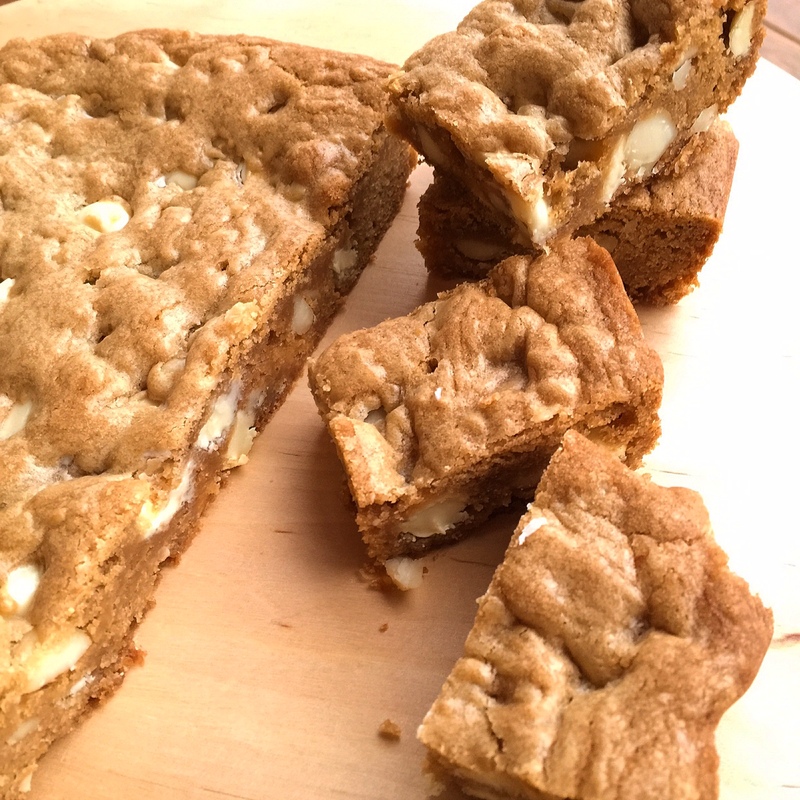 You can sub walnuts or pecans for macadamias, but the Hawaiian nut is a classic combination with white chocolate. Next, I had to figure out a good sauce. While the sauce I made isn’t quite the same, it’s still damn good. 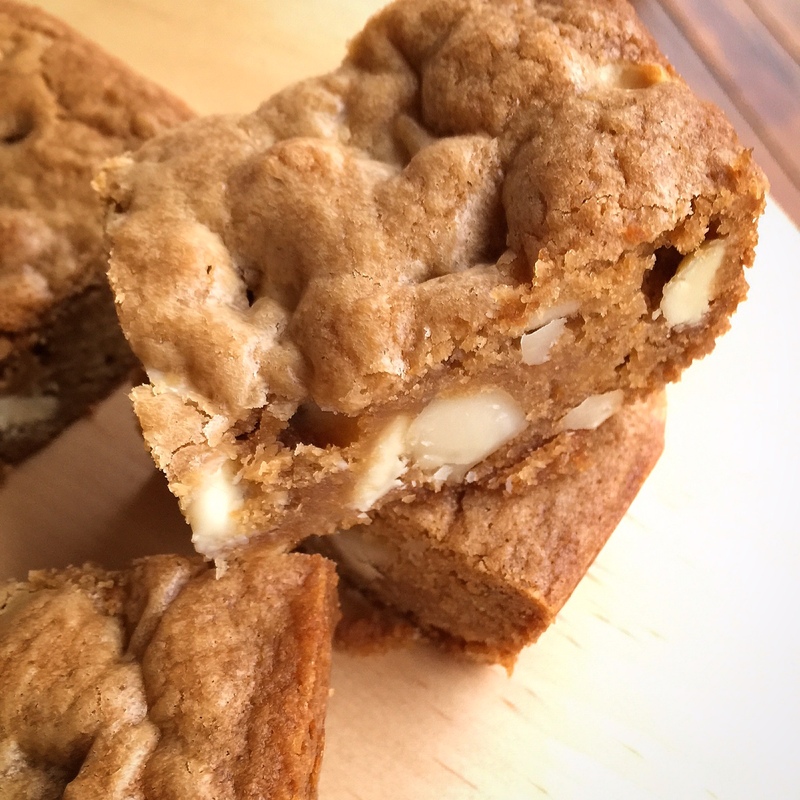 So you basically just make blondies, top with ice cream, add sauce, and maybe a few extra nuts sprinkled on top. If you serve it on a sizzling hot cast iron skillet, even better! Preheat the oven to 350F. Spray an 8×8 inch baking pan with cooking spray. In a small skillet, melt the butter oven medium heat. cook for 2 minutes, or until the butter gets foamy, the foam subsides, and the butter is browned in spots. Make sure you do not burn the butter, we are simply trying to get it a little browned and bring out the nuttiness. Immediately remove from the heat, transfer to a bowl, and whisk in the brown sugar. Whisk in the egg and vanilla. Stir in the flour, baking soda, and salt. Fold in the nuts and white chocolate and scrape the batter into the pan. Bake for 25 minutes, or until set around the edges and a wooden pick inserted in the center comes out with some moist crumbs attached. Let cool in the pan. In a pan, add maple syrup and butter, cook over low heat until butter is melted. Next, stir in brown sugar and heavy cream until completely dissolved. 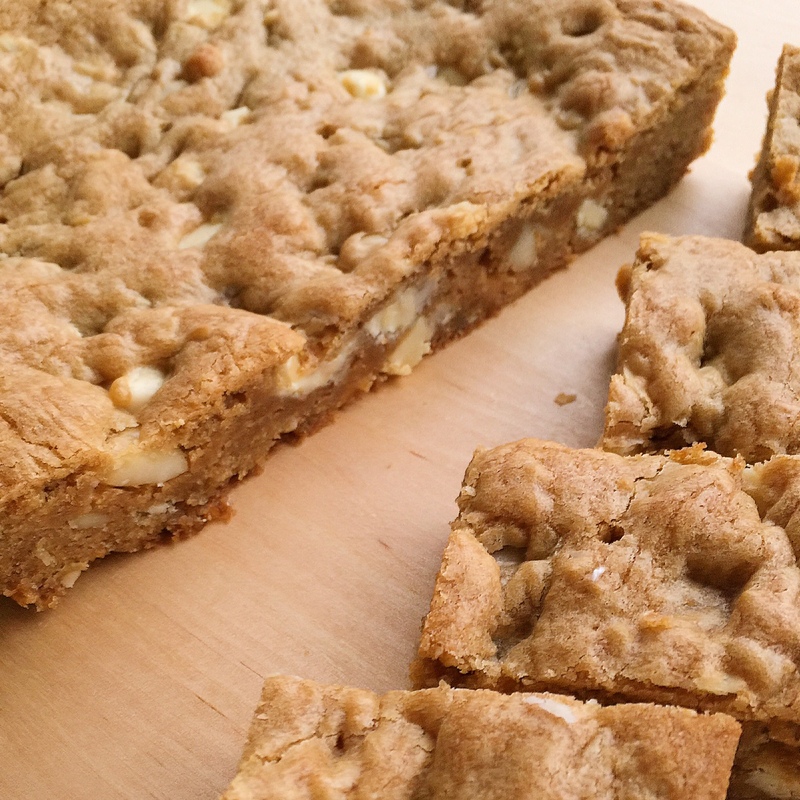 To serve, cut the blondies into 12 pieces. 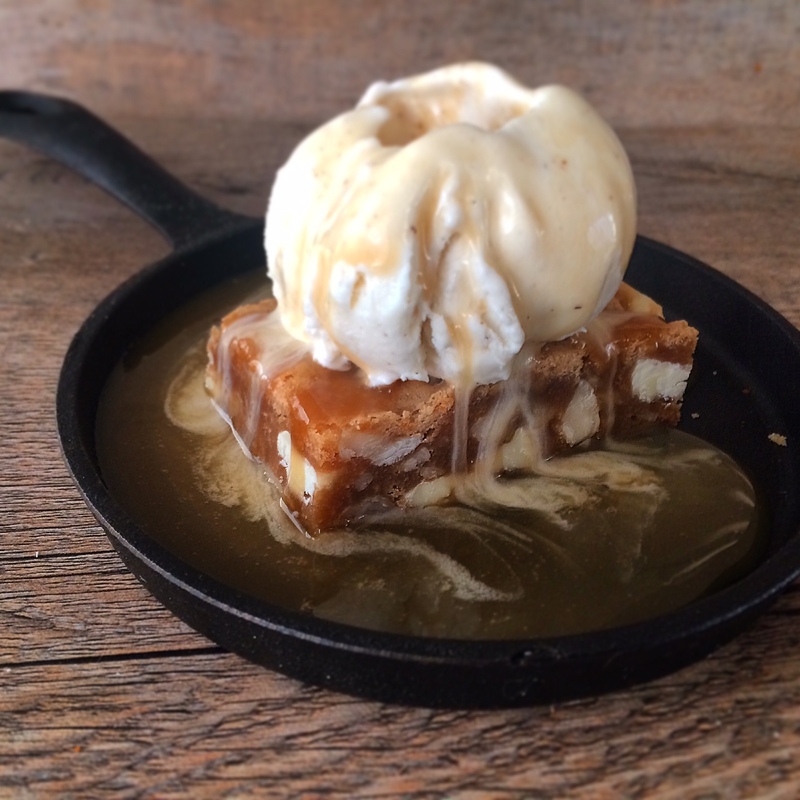 Plate individual blondies and serve with a scoop of vanilla ice cream on top and warm maple butter sauce. 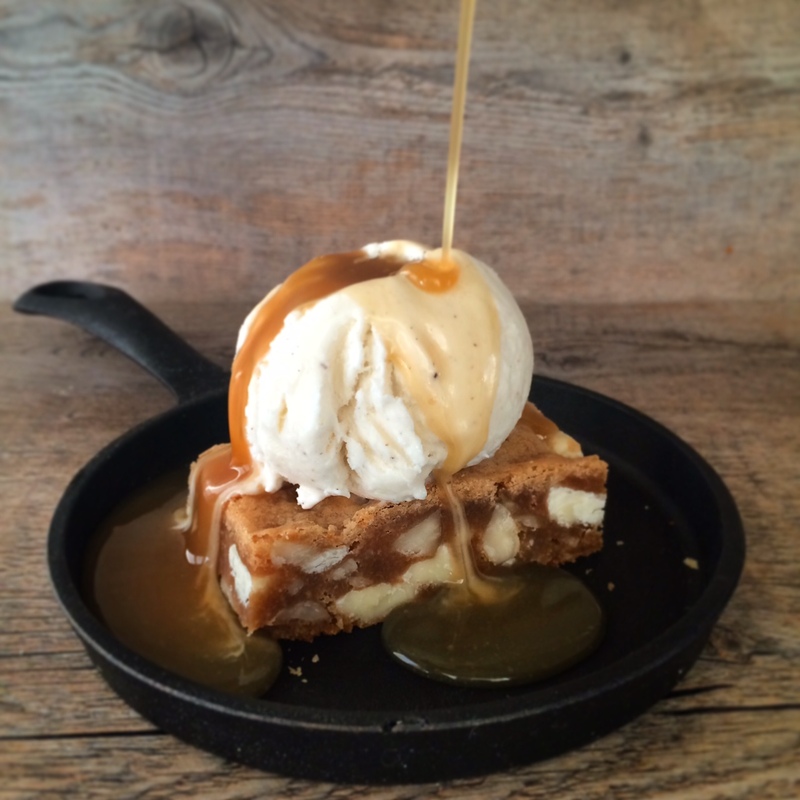 You can also serve them out of a hot cast iron skillet with the ice cream and maple butter sauce on top!